The National Broadband Network (NBN) is not far off completion, and if you’re not connected yet it’s probably only a matter of time until you are. So, what’s available at your place? Well, unless you’re really lucky, live in a big apartment complex, or some other oddity, chances are you’re on a Fibre to the Node (FTTN) connection. So, what does FTTN mean, is it a good thing, and what plans are available? Find out below. 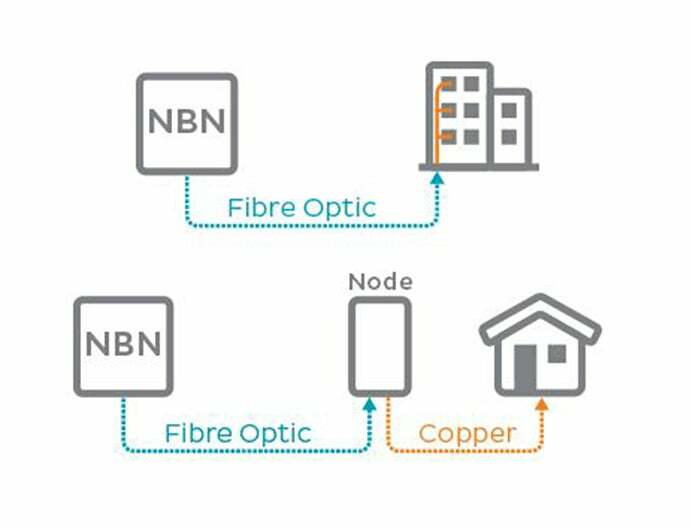 What is Fibre to the Node NBN? FTTN stands for Fibre to the Node. 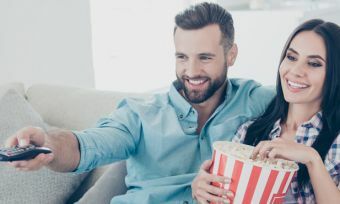 It is part of the wider rollout of the National Broadband Network and is the most common connection type, designed to be cheaper and easier to rollout. Fibre optic cable is run from a ‘point of interconnect’ (POI) to a central box in your neighbourhood or street called a ‘node’. Your house then connects to this node using existing copper wiring popularised by ADSL and your old home phone line. Thanks to iiNet for the explainer image. POIs are dotted around the country – there are more than 120 of them – and are commonly located where old telephone exchanges are/were. You can find out more about the available exchanges here. Because FTTN uses the old copper lines for part of the overall connection, it’s designed to be cheaper to rollout than other types of NBN. However, it comes with some downsides in regards to potential speeds and reliability due to your old copper connection making up a sizeable portion of the cabling. How Much do Fibre to the Node Plans Cost? Generally speaking, unlimited data on the Basic Speed Tier on FTTN costs as little as $40 a month, with many providers offering something around the $60 mark. Data-capped plans are often cheaper, but not markedly so. Fibre to the node customers are generally no better or worse off than others on alternative connections in regards to the price they pay. FTTN is the most common connection type, however, which means that there is possibly a wider range of providers to choose from. What do I Need for FTTN NBN? 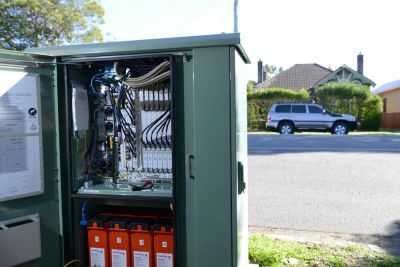 There is no special installation required by NBN Co – the wholesaler responsible for rolling out the network – if you have a FTTN connection. This is because your home already uses the existing copper wire connection, meaning you can connect as normal. When the NBN comes to your area, you will likely be notified by your provider, as many offer transitioning at no extra charge. You’ll need to make sure your router is ready for the NBN. Once NBN has arrived in your area, in many cases you have up to 18 months to make the transition before your old connection is turned off. In that time, it can be worthwhile shopping around for a new provider, finding out about the speed tiers on offer and more. How Fast is Fibre to the Node? FTTN has access to the top potential speed of what the NBN has to offer – 100Mbps. However, fibre to the node customers are heavily reliant on how far they live from their node. Like with ADSL exchanges, FTTN customers farther away from the node have a diminished capacity to achieve top speeds. NBN Co says customers who live within 700m (as-the-crow-flies) of the node can achieve top NBN speeds. Those outside of this radius can theoretically achieve a maximum of 60Mbps. Providers are disallowed from putting customers on a 100Mbps plan if they live outside the 700m radius or if they test the connection and are physically unable to achieve a 100Mbps top speed. However, there are a few other factors that can determine your real-world speed. This has given rise to what providers advertise as “typical evening speeds”. Evenings – between the hours of 7pm and 11pm – are when more people are online and when more members of the household are likely to be connected to the internet. Congested periods can realistically see a drop in top speeds of 20% or more i.e. a 100Mbps drop to 80Mbps or worse. Different providers provision for their speed tiers differently; some focus more attention on the top speed tier, or the next speed tier down. If you want a top-speed plan and if providers are unsure about the top speeds you can achieve, they usually put you on a Standard Plus NBN 50 plan first simply to test the connection; if you are easily hitting 50Mbps most of the time, they may present you with the option to upgrade. FTTC – Fibre to the Curb (Kerb): The newest NBN technology employing fibre up to the kerb or street of your house. FTTB – Fibre to the Building: Common in apartment blocks, delivering fibre to the communications room of your building for all residents. FTTP – Fibre to the Premises: The least common connection type, part of the initial project scope delivering fibre right up to the home. Arguably the ‘best’ type and most reliable of the technologies, but usually only used for ‘greenfield’ projects. HFC – Hybrid Fibre Coaxial: Uses any existing ‘pay TV’ or cable network – usually Telstra’s old cable. This cable runs from the closest node to your home. Fixed Wireless: Consists of 2,600 transmission towers employing 4G mobile technology to cover half a million residences in regional areas. A roof antenna connects to a base station, which then connects to 4G. Top speed available is generally 50Mbps. SkyMuster Satellite: There are two SkyMuster satellites providing internet to remote locations such as Christmas Island, Lord Howe and Norfolk Islands. A satellite dish must be installed on the home. Top speed available is usually 25Mbps. The National Broadband Network is Australia’s largest infrastructure project in history, and as you can probably tell from the above seven technologies, it’s a complex and messy one. If you want to keep it simple, it can pay to check your address with a provider to see what’s available at your place and go from there. Is My Fibre to the Node Connection a Good Thing? Ensure your router is up to snuff; chances are if it’s more than a couple years old it could probably do with an upgrade. Pick the right speed plan for you, but first make sure your home can achieve those speeds if choosing a 100Mbps plan. If transitioning from an old connection to NBN, don’t panic, because you have up to 18 months to switch, giving you time to think. Overall, you don’t have a choice about whether you’re connected to FTTN or not; that’s in the hands of NBN Co. However, if you are concerned, you can look at the NBN alternatives as having an active NBN plan isn’t compulsory! Be sure to shop around, and consider your needs before jumping into a plan.